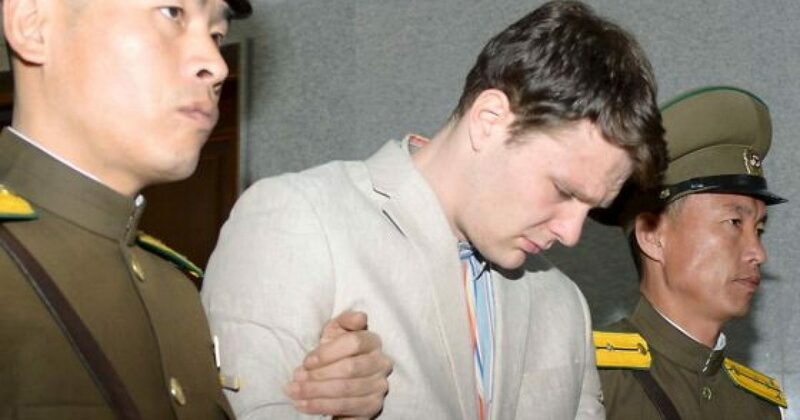 Over a year ago, American college student Otto Warmbier was sentenced to 15 years of hard labor in a North Korean prison for stealing a North Korean flag from a government building. Tuesday afternoon, it was announced that Warmbier had been released following the news that he had been in a coma for over a week. United States officials were notified of Warmbier’s condition last week and immediately sent an American delegation including a medical team to Pyongyang to attend to him and bring him home. According to his parents, Warmbier has been in a coma for over a year now. Questions about his condition have not been confirmed yet but it seems as though he contracted botulism last year and slipped into a coma after taking a sleeping pill due to the illness. The Warmbier family has long campaigned for the release of their son and for the former President Obama to do more to negotiate his release.